Very early in the first season, the APPL administrators realized there was a need for an easy-to-use score entry and dynamic tournament scoring display system. The APPL "Live Scoring" system was first launched in late May 2009, and has continued to evolve since. This system provides the benefit of easy, quick score entry and a dynamically updating scoreboard display available on the Internet. It is very common for players in the tournament to follow their progress and that of competitors on their phones. No special software is needed, just any standard web browser. Not only can players (or anyone connected to the web) follow the current tournament progress, but any past tournament results and performances from the inception of the APPL can be accessed with just a couple of clicks. Also available are some basic statistical data regarding every player ever to have competed and every pinball machine title ever to be used in a APPL tournament. Click here to launch the Scoreboard interface. 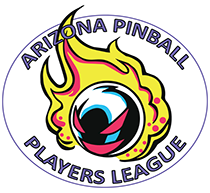 Note: For the first five seasons (2009-2013), the APPL used the "Pearson Pinball Scoring" (PPS) system for assigning tournament points for player performance. This was a system in which the top score on a given machine was awarded 100 points and every other player was credited with a percentage value compared to the top score. This system is referred to as the "Legacy Score Board" on the scoreboard interface. Any and all tournaments may be viewed utilizing the PPS, regardless of which season it was played. From Season 6 (2014) onward, the APPL has employed the standard IFPA point system. Like the PPS, any past tournament may be displayed using this system. Keep in mind that the official results are based only on the prevailing system used for any given season. This system is displayed by clicking the "Score Board" link on the interface.